I really hate it when Amazon somehow persuades me to spend money on a book from an unknown (to me) author, but in this case all is good as I quite enjoyed this morose yet warm family story. A father is accused of gross negligence, the mother withdraws inward as a result of the tragedy, the older brother is off on some wild investigation seemingly unaffected and our main character, Clancy, is trying to put all of the puzzle pieces together with disappointing results. 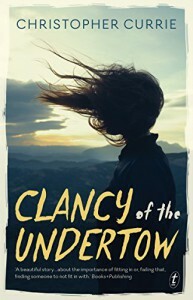 This was not a quick read for me with this journey through Clancy's heart and mind. Secondary and tertiary characters external to the family are strong in this book, with Reeve, a security guard and friend to the main being the strongest. The mains are all rock solid and shine throughout the book. We feel like we know them and yet are still surprised by some of their actions. Some hint of romance would probably make me happier, but at what cost to the realism of the story? Probably too much.